It is now possible to order the latest of the Leica HDS line of products: the Leica BLK360 laser scanner! 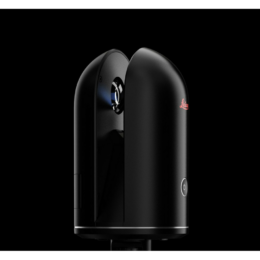 Light and compact, the Leica BLK is the smallest imaging scanner on the market and features a 360,000 points/second digitalization speed. Easy to transport and to use, this unique device lets you capture high precision data and panoramic images of exceptional quality, in colours, from a single button and in less that three minutes. See for yourself. Other dates will later be announced. To sign up, or for any information request: 1-877-566-6183 or info@abtech.cc.